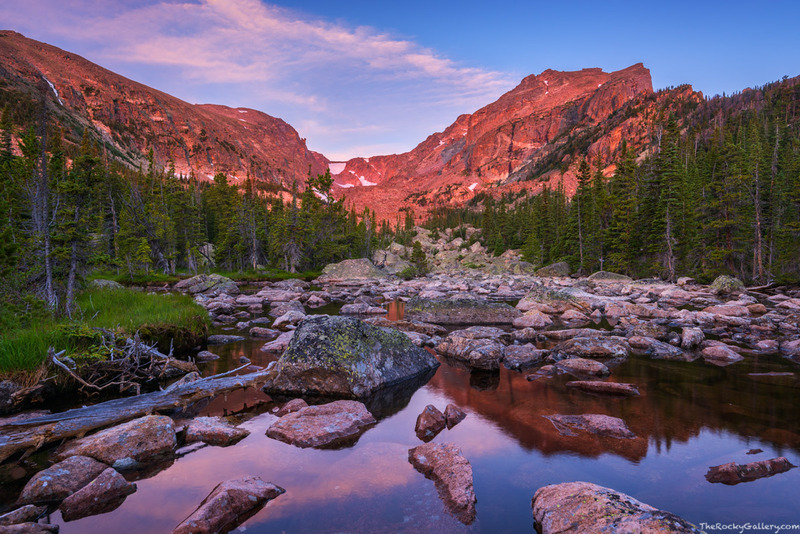 A tranquil morning on Chaos Creek awakens as the sun illuminates Hallett Peak with its warm light. The boulders of Chaos Canyon have spilled down towards Chaos Creek and have created these rocky ponds and pools near Lake Haiyaha. Photo © copyright by Thomas Mangan.